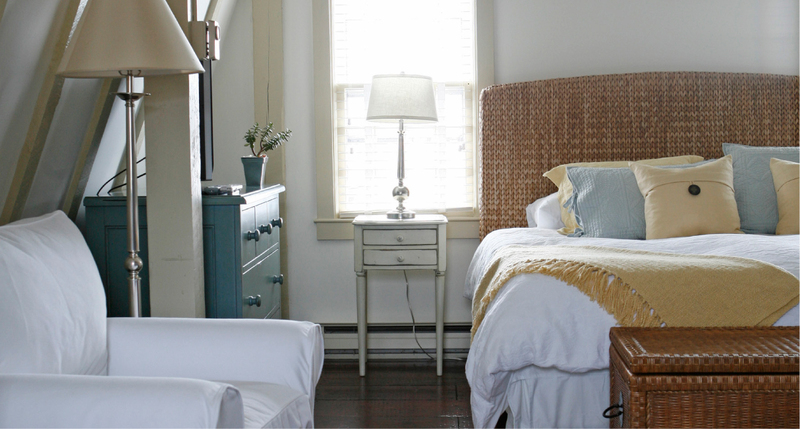 A classic New England cottage directly across from the Hotel, the Red Cottage is a lovely two story home with original wooden floors, a full kitchen and dinning room, loft style bedroom and a cozy living room. 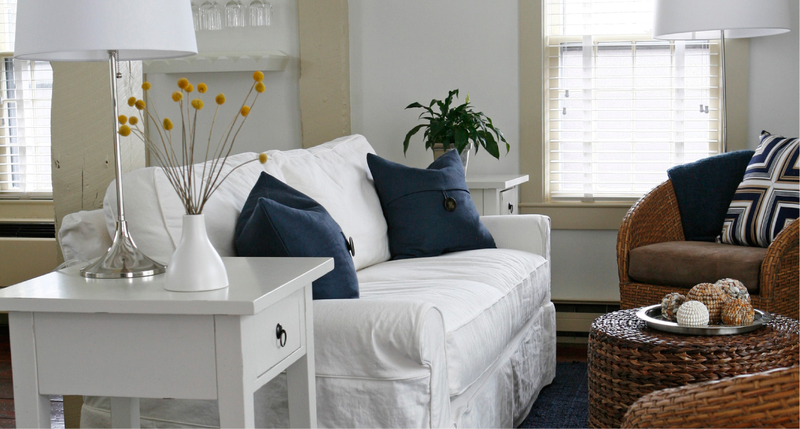 The cottage opens onto a beautiful courtyard and the second floor has views of Narragansett Bay. 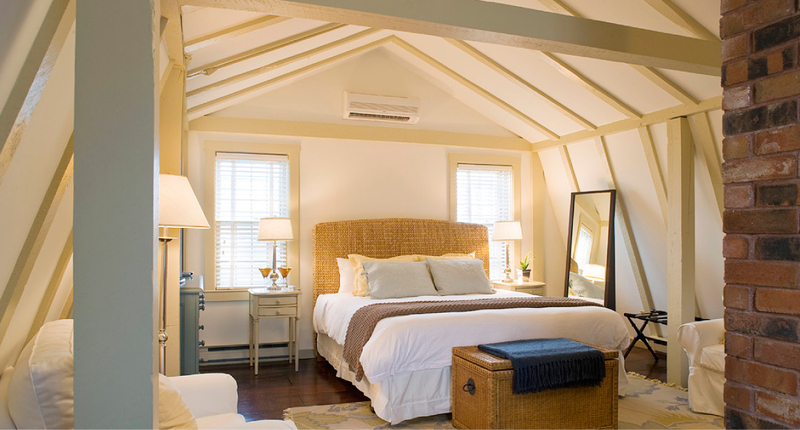 The romantic bedroom has a vaulted ceiling, oversized arm chairs and features Frette linens. 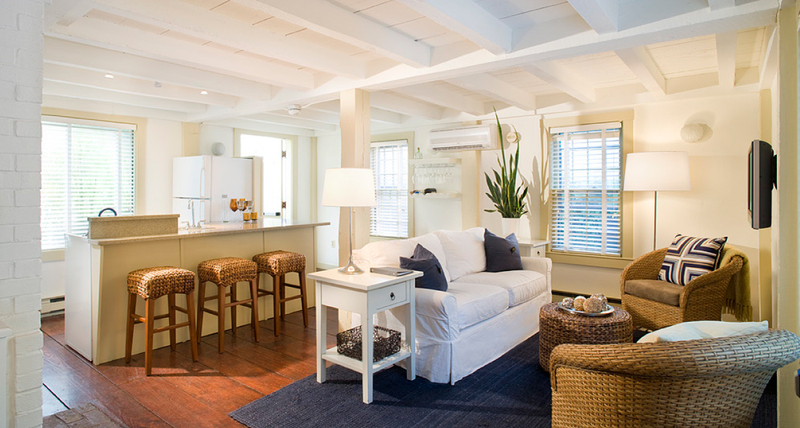 All our Cottages and Lofts have state of the art high speed wireless internet, iPads and Malin+Goetz bath products. The Red Cottage is a classic wood frame structure located across from the main hotel and features a more casual cottage decor.